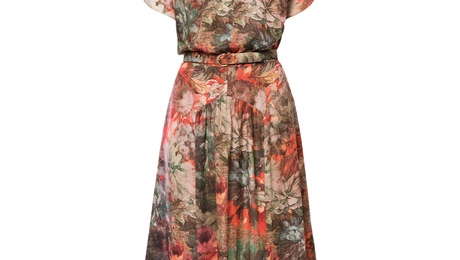 Fitting for an asymmetrical figure can be tough. 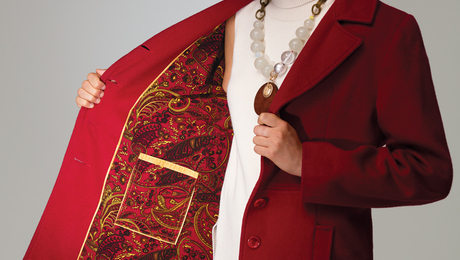 Learn how to make pants that will fit any body shape. Find the potential in these two classic attachments. 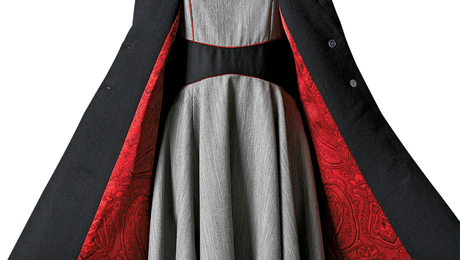 Spruce up your outerwear with designer details. Find out what the best sources for tween patterns are. 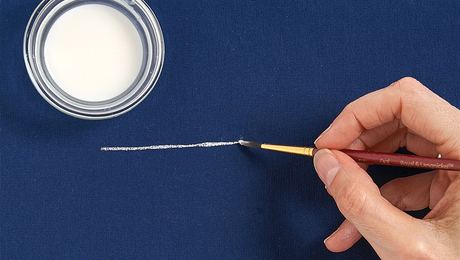 If using striped fabric as trim, you'll want to miter the corners carefully. Learn which pattern areas need it and which don’t. 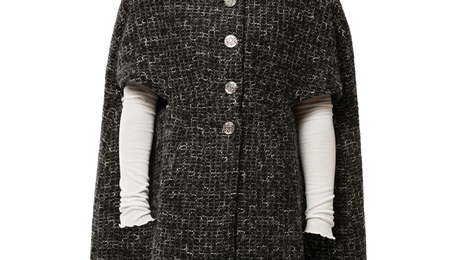 This fully lined, knee-length cape has a 2-inch-wide collar band or a two-piece hood, horizontal arm slots, and angled side-front seams that house hidden inseam pockets. 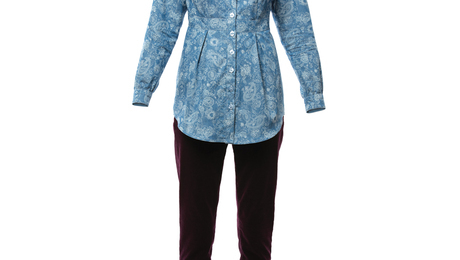 A thigh-length tunic offers a twist on the classic men’s dress shirt. 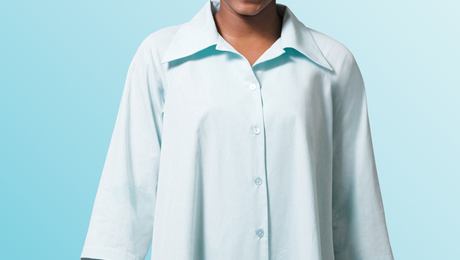 It has a spread collar, a separate button placket, a self-lined back yoke, and a curved shirttail hem. 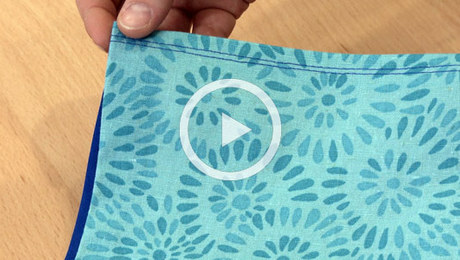 Give this method for marking fabric a try for a bold mark that is easily removed. 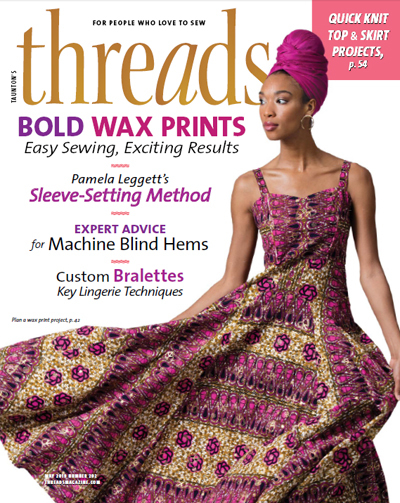 Here's what you can expect to find in the January 2017 issue of THREADS. 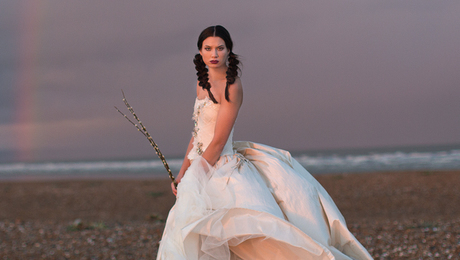 The British designer finds her next calling in sewing education. 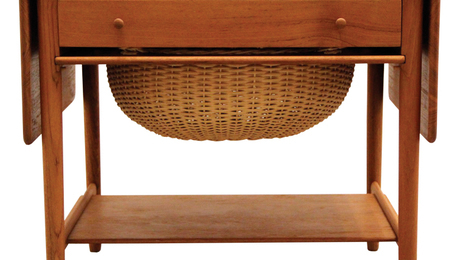 A single-welt pocket can be added to almost any garment or accessory. Skillful design and construction win the day. 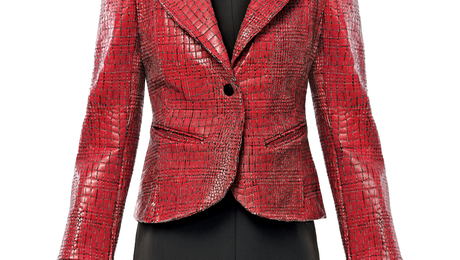 A proven formula for stylish combinations. 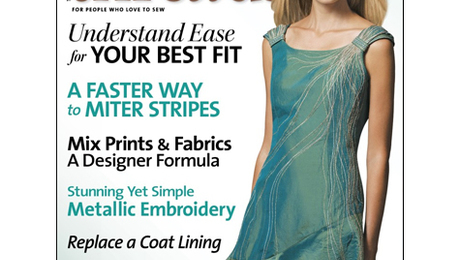 Great tools, notions, inspiration, and education for sewing enthusiasts. Learn how to taper a piping's end for an attractive, bulk-free finish. 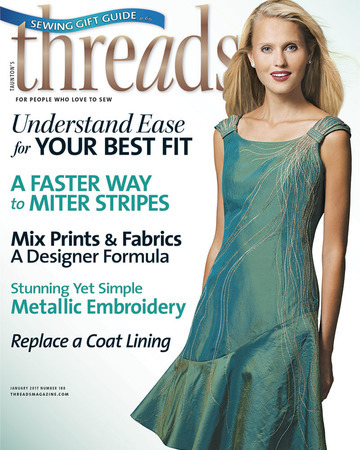 Take a 360-tour of this vintage-inspired dress featured in Threads #188.